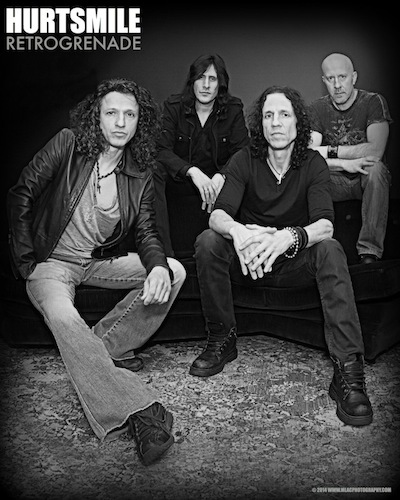 Gary Cherone (Extreme, Van Halen) is back with Hurtsmile and, teaming up with Pledgemusic.com to release Retrogrenade on June 2nd with a public release to follow. Available now at Pledgemusic.com, is a free download of the single Rock & Roll Cliché. Following up their 2011 self-titled debut, the band’s second release Retrogrenade pays homage to almost every genre Cherone has presented in the past and still finds room to give you something new. Inspired by their classic rock roots, “it is the collective effort of the Band flexing their musical muscle” says Gary. Diverse tracks include the Aero/DC inspired Rock & Roll Cliché, the hook laden Hello I Must Be Going, the epic blues of Where Do We Go From Here, to the sweet acoustic broken-hearted harmonies of Goodbye. 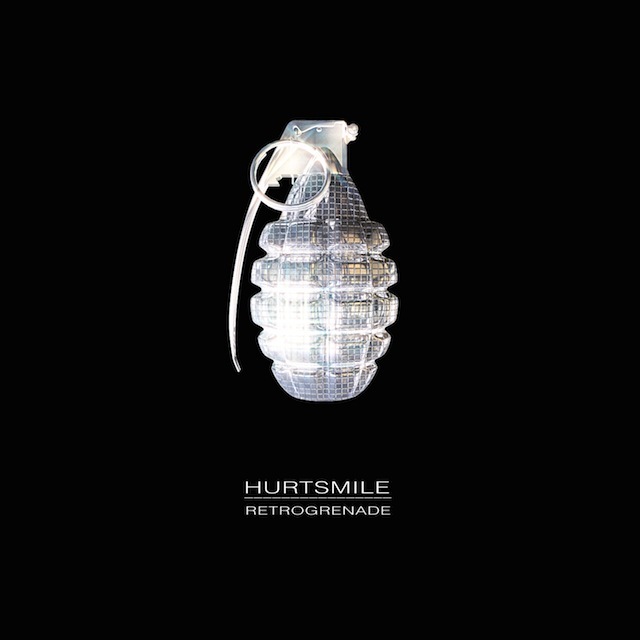 Hurtsmile rebels against traditional cohesiveness and does not attempt to capture a specific mood. It rather bombards you with a multitude of emotions and challenges you to go along for the ride. To download Rock & Roll Cliché please click here. Coming to an old converted 1955 polish american union hall to bar near you. Liked the first CD it was not as good as Extreme but then again it was different. “Hello I must be going”…the title is a tip of the hat to a Marx Brothers song, sung by Groucho, in the film “Animal crackers”…Gary is a huge fan. I purposely wore a Groucho shirt to an Extreme show in 2009. I was right up front and Gary knelt down between songs and points at me and said “I like that shirt!” Gary is the best singer and frontman in rock today in my opinion. He’s disgustingly underrated. Been an Extreme fan since the beginning. Extreme was/is a hugely underrated band. They got shoved into the “hair metal” category unfortunately, and songs like “More than Words”, while great, and hugely popular, pigeon holed them. Same for Night Ranger. Wish Gary all the luck in the world. Nuno needs to recruit Gare.